His full name is Muhammad Muhammad Al-Saiyd Hassanein. He was born in the village of Tahoria, Egypt. He is one of the famous reciters of the Quran in Egypt. Known as Sheikh Jibreel; he learnt the Quran at the age of 9 and won a number of national and international competitions of Quran recitation. 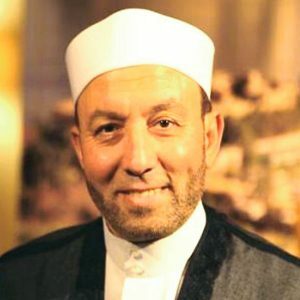 He studied at Al-Azhar University and received a B.A in Sharia`h and Law; he also went to the University of Jordan and worked as a lecturer and author of some religious programs for the Jordanian television. Since 1988 and during the month of Ramadan, Sheikh Jibreel has led the Tarawih prayers at the `Amr Ibn Al-`Aas mosque in Egypt. He was also appointed as supervisor of the establishment of the International Islamic Center of Quranic Sciences in Cairo. Sheikh Jibreel has a number prominent TV shows broadcasted on various Egyptian Channels such as Verses and Prayers, Allah’s loved ones, in addition to recordings of his recitation of the Quran.